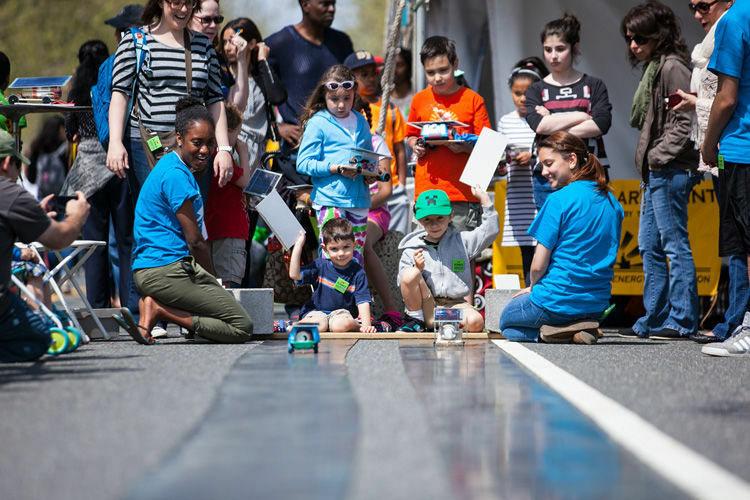 Created by Philly’s science, cultural and educational institutions and organized by The Franklin Institute, the Philadelphia Science Festival is a nine-day, community-wide celebration of science and technology. This year’s Festival hosts more than 100 events across the Philadelphia region and in South Jersey for all ages in everyday places – parks, restaurants, bars, libraries and museums from April 26 - May 4. Check out our top picks to the 2019 festival below, and share your experiences with us on Twitter, Facebook and Instagram using the Science Festival's hashtag #GetNerdyPHL. For more information on the Philadelphia Science Festival, including a full list of events, head to the Festival's official website. Don't miss one of the biggest parties that the Festival has to offer with the Star Party! The Franklin Institute has teamed up with local astronomers across 24 different locations to put on the biggest stargazing event in the area. Grab your friends and your telescopes and contemplate the universe! One of the Festival's flagship programs, Science in the Park is a day of free, hands on activities that the whole family can enjoy. Head to a participating park in your area for a day of discovery, exploration and most importantly, imagination. Embrace your inner child (or bring your actual child) through art, play and live demonstration at Pop in the (Rail) Park! Taking place on Callowhill Street between 11th and 12th Streets, Pop in the (Rail) Park is for the bubbly personality in us all. Guests can blow bubbles with a variety of tools (you can even get to be inside of one! ), create beautiful watercolor art with bubbles and even make your own bubble formula. As the closing ceremony of the Festival, the Science Carnival on the Parkway makes sure to end the week on a high note with a day of free family fun. On Saturday, May 4, the Parkway will be taken over by live demonstrations, games, fun experiments and so much more. This is a party you will definitely not want to miss! For a complete calendar of events, visit the Science Festival's website.